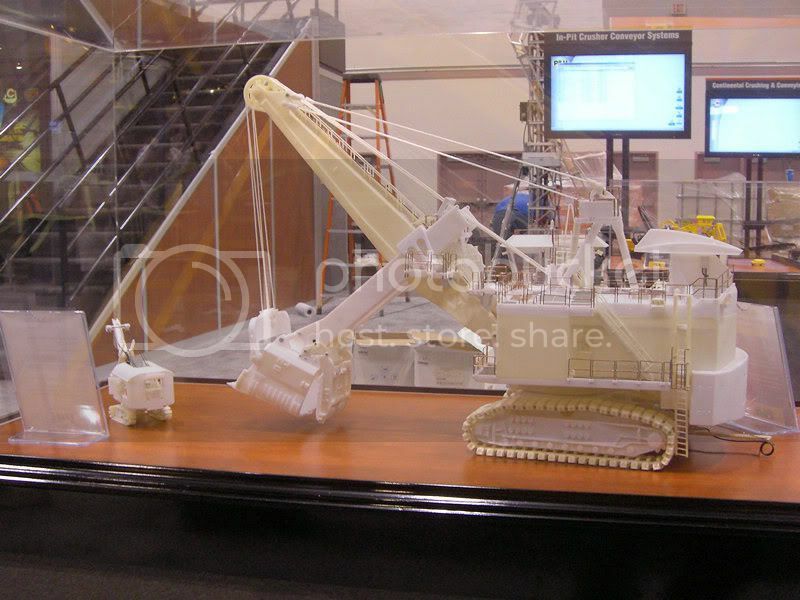 TWH would like to clarify a post that has been made regarding the production of a 1/50th scale model P&H 4100XPC. 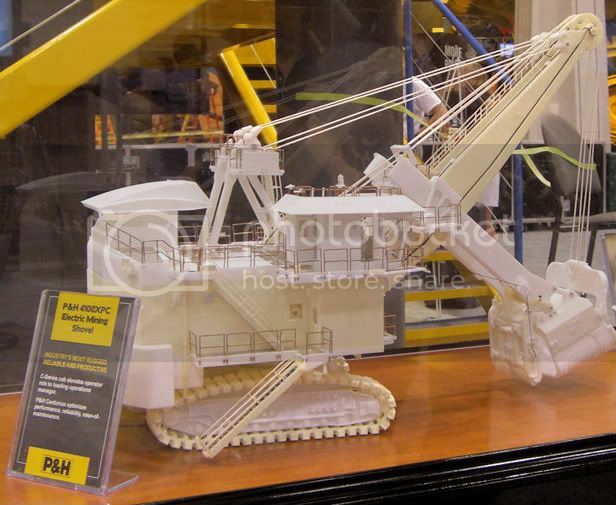 A tooling model of the P&H 4100XPC has been made for Mine-Expo for P&H to promote their 125th Anniversary and in aiding to sell the 4100XPC real machine only. A decision on having a 1/50th scale model has not been made and the future of the possible model project is not known. It is possible that the model will be produced, but no decision has been made. Collector input is always valuable and we understand the excitement surrounding the possible 4100XPC project. Your feedback is always well noted by TWH and we invite you to share your ideas. Thank you for being valued customers. AND if that was not enough.....confirmation that we will have the 797F to go with it. What awesome news!!!! Will be an expensive end to the year and Santa may need a bigger sled. AWESOME news!!!! I can't wait too see this one! What's the estimated price anyway? Hope it will not be any more than the OEM version 495s. Great news and not so great news. I am overwhelmingly excited of all this recent news but it doesn't mean that I'll get everything on my list of wants. Lets hope they bring out the nice colours first, like the BE blasthole drill, wanted to post now are various pictures of full size machines in the field. there cant be that many at the moment, Time to start saving! Thanks for starting the ball rolling, must be some more inspiring colours than that, thr yellow looks nice, the model is too big to have a bad colour scheme. fantastic news!!!. im saving for mine now!!. 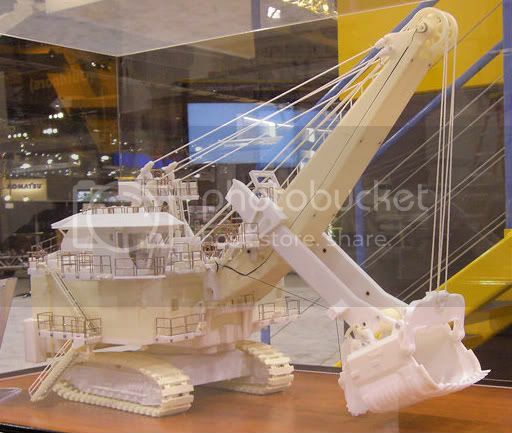 cant wait to see it beside its brother bucyrus!! If the price will be the same as for the 495 Im deff getting this one. + a 797F to load. Yeah, I agree with Kev. It would be nice if the model is available in some different mine liveries. Having another white/black electric shovel would make it look too much like the 495(origional). I'd like to see some color here. Still gonna buy the model either which way + the 797F! I hope it comes in yellow. Everytime I think about P&H I see a yellow shovel in my head. Now we're talking - I think next to the old Cyprus white/blue, the P&H factory yellow/black is beautiful! Christmas has come early!. I want one in Maroon and Cherry, from the Discovery magabuiders programme, its in a gold mine in the states I think. Any pictures, anyone? That old timer machine would be good too. They were offering a special show early order pricing. I have not logged in/called to get the price yet though (have to unpack first and find the card). But the Bucyrus discount for the 495HR was something like 35% off retail. Thanks for those pics Chris! I can't wait too see when it all done and in its new P&H livery. I have modified MITCHTIM's original message at the request of TWH as the information provided was not correct. There is a chance that the 4100XPC model will be produced, but lots of discussion still needs to be had re: the model. So TWH does not want to create false expectations and this model is NOT "announced" as a collector model at this time. The sample was made for P&H for the show and their anniversary. Well let's do this again. TWH P&H, put me down in the books for wanting one P&H 410XPC. Put me down for one also!